Heat medium nonstick skillet over medium-high heat until hot. Add beef; cook and stir 4 to 6 minutes or until browned. Stir in corn and barbecue sauce. Reduce heat to medium; cover and cook 5 minutes, stirring occasionally, until hot. Place tortillas on 4 individual plates. Spoon 1/4 of beef mixture down center of each tortilla. Top each with 1/4 cup chopped tomato and 1 tablespoon cheese. Fold tortillas in half or roll up. Beef is a good source of vitamin B-12. Our bodies need B-12 for energy and to maintain a healthy nervous system. 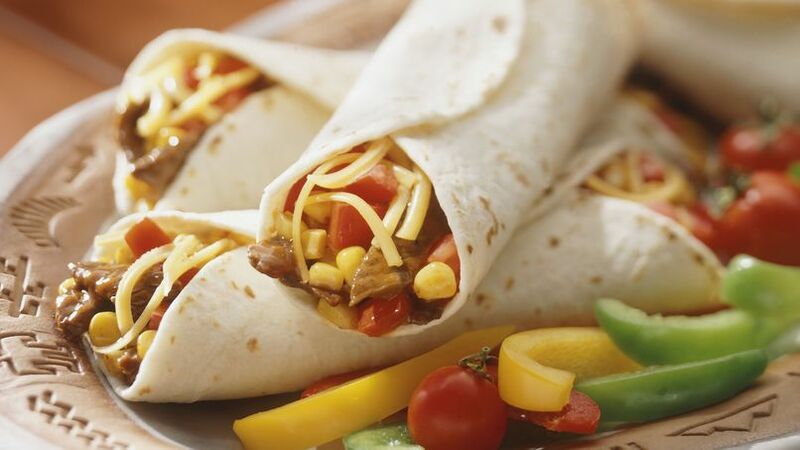 Lean beef tortillas can be smoky, spicy or mild with your choice of barbecue sauce!